On this day devoted to women who inspire us, we send a huge congratulations to Ms. Bhattacharya who has been recognized with an Educator Award from the National Center of Women in Technology. 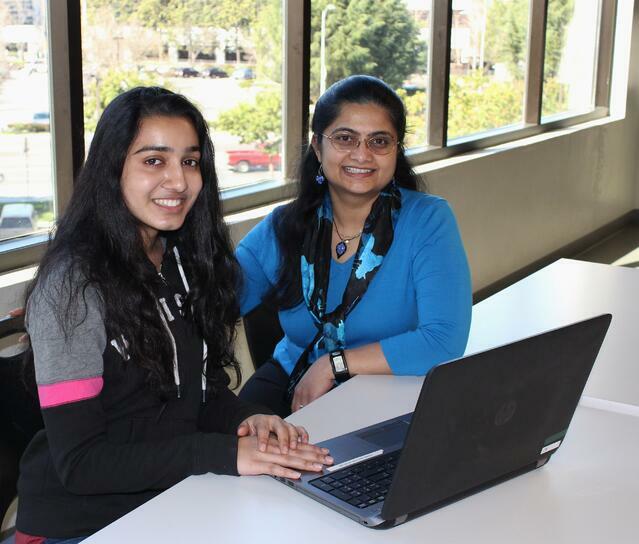 The NCWIT Aspirations in Computing Award is given to educators all over the United States, and the 2017 Educator Award for the Bay Area has been presented to our own Ms. Bhattacharya. Please read on about the NCWIT and this years' programs and awardees here. This prestigious recognition is especially exciting as she was nominated by several of her BASIS Independent Silicon Valley students, Sara S. and Shreya S. As an educator, there may be no greater compliment than for those you teach to show how much they appreciate you. BASIS Independent Silicon Valley wishes all of the amazing women in our lives a Happy International Women's Day!